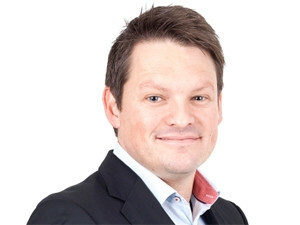 Gian Visser, CEO of Afrihost, won the prestigious IT Personality of the Year 2014 award. By Jane Steinacker, Brainstorm editor. Afrihost CEO Gian Visser believes in investing in his customers. Gian Visser has always been an entrepreneur. As a kid, he rented out his fantasy books and at university, he had a pet-sitting service. While he may have tried his hand at studying Actuarial Science, he ultimately completed a B.Com. He uses his skills set to do what he does best, which is to identify opportunities, shake up the market and make money. He tried his hand at working in a corporate environment, but found that it didn't suit him. Visser is not to be restricted or restrained. In the late '90s, when friend Brendan Armstrong came to him and said: "There's this thing called the Internet and you can buy these things called domain names", to sell on at a profit, Visser was in. The two bought about 20 domain names, like plumber.co.za and hotel.co.za, "with money we didn't really have". Visser sat up with a book on Microsoft Frontpage and built his first Web site. He thought it was, 'the most beautiful thing I've ever seen', laughing at what he thought looked great at the time. "We sold plumber.co.za for R2 500," he recalls, a nice profit on the R200 they paid for the domain. He laughs when he thinks about what it would be worth now, but at the time, they reckoned it was great cash. "Off Brendan's old PC, we offered Web hosting, and we thought we were tech moguls with 40 clients," he says. That was the beginning of Afrihost - three guys (mutual friend Peter Meintjes joined the team) sitting at Visser's mom's dining-room table setting up their tech empire. The start-up was determined to make it - and the guys were prepared to take on any kind of work: "We would've done anything to make money - cleaned pools, painted walls, anything." In 2005, after managing to occupy pretty much the whole of Mrs Visser's house, the business moved into proper offices. Four years later, Afrihost decided to focus on hosting. In 2009, the average price for ADSL was R70/GB to R80/GB. Afrihost entered the market at R59/GB - selling at cost. "We got the champagne bottles ready but, when we launched in August, we only had 51 sign-ups," Visser recalls. "That's when we implemented our 'braai marketing' strategy. We took our marketing budget and invested it in our customers, so that people standing around a braai could talk about our company." A month later, Afrihost came in at R29/GB. "There was a massive uproar in the market," Visser says. "It was fantastic." They were selling the data well below cost. None of the big players in the industry made a move for a while. "At the time, there was a lot of talk that it was unsustainable, and everyone was convinced that within six months, we would go away." But he realised that if Afrihost could attract more users, a better price could be negotiated. When Axxess reached 15 000GB a month, they bought the business and got a better price. This was the start of how Afrihost started to 'dramatically change the industry - we were the catalyst for change'. Now Afrihost has about 350 employees, with its first employee, Visser's mom, still on the team. "We encourage the feeling that we're a family," he says. The CEO never forgets that they were three guys sitting around a dining-room table. The company works on new revenue streams as well as being a customer-focused business. The idea is to 'make it a no-brainer for people to use us' and for clients to 'love us and stay with us', he says. Visser was named the IITPSA IT Personality of the Year 2014, as part of the annual Institute of IT Professsionals SA (IITPSA) President's Awards. We thought we were tech moguls with 40 clients. Presented annually by The IITPSA, in partnership with ITWeb, Gartner Africa and GIBS, the award recognises a person who has had an extraordinary impact on the South African IT sector and has made a significant contribution to the IT profession and the broader community. "I'm just the guy who is seen," he says. "I wish it could be a multiple award because it's all about the team." Visser says the awards Afrihost receives are great but he's wary of becoming complacent. "Don't drink everyone's Kool-Aid. It doesn't mean anything unless we look after our team and our clients." He believes that for Afrihost to grow its market position, it needs to be agile and able to grab opportunities in the marketplace. "Who knows," he says, "there could be three guys in a room, ready to take on the industry like we did." First published in the January 2015 issue of ITWeb Brainstorm magazine.